A police officer entertained Aston Villa fans at Wembley before their FA Cup semi-final victory against Liverpool as she joined in a keepy-uppy session with a group of young supporters. The three boys were shown how to juggle the ball like a profession, with young woman successfully keeping the ball in the air elegantly and even found it rather amusing when one of the young Villa fans lost control of the football. Aston Villa and Liverpool is hardly the ferocious of rivalries which resulted in a relaxed atmosphere around the ground on Sunday, illustrated by the police officers engagement with Villa’s next generation of supporters. Tim Sherwood’s men gave their fans a day to remember after knocking out Liverpool with what was a sensational performance and a local star may have been born. Jack Grealish glided across the hallow turf as he danced all over the Reds on Sunday. 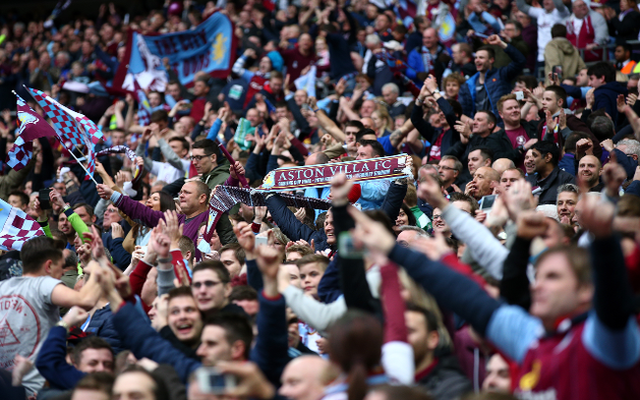 The Villans can now look forward to another day out at Wembley come may as they aim to lift the FA Cup for the first time since 1957.